Well, I prob­a­bly would have stayed on Sprint until the Pre came out and assessed it at that point. Thanks for mak­ing me make the hasty (albeit cor­rect) deci­sion! Pingback: Lo-fi cameras are awesome… « Write, geek! 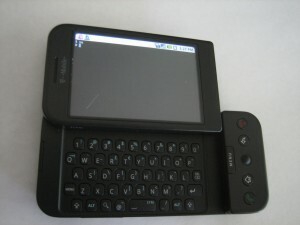 Pingback: Nexus S review « Write, geek! Next Next post: What’s all the PubSubHubBub hubbub?